University of Toronto. 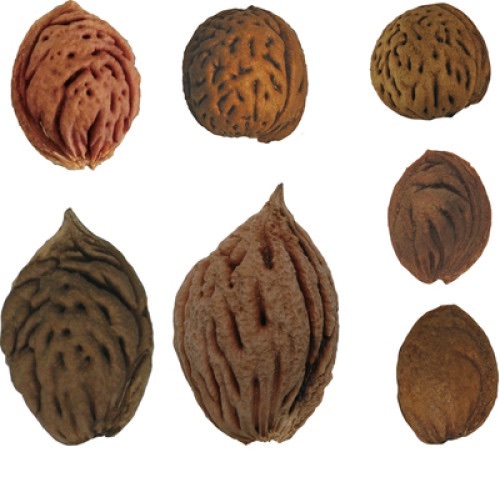 “It’s the pits: Ancient peach stones offer clues to fruit’s origins.” ScienceDaily. ScienceDaily, 6 September 2014. <www.sciencedaily.com/releases/2014/09/140906093100.htm>. In a study published in PLOS ONE, Gary Crawford, a U of T Mississauga anthropology professor, and two Chinese colleagues propose that the domestic peaches enjoyed worldwide today can trace their ancestry back at least 7,500 years ago to the lower Yangtze River Valley in Southern China, not far from Shanghai. The study, headed by Yunfei Zheng from the Zhejiang Institute of Archeology in China’s Zhejiang Province, was done in collaboration with Crawford and X. Chen, another researcher at the Zhejang Institute. Archeologists have a good understanding of domestication — conscious breeding for traits preferred by people- of annual plants such as grains (rice, wheat, etc. ), but the role of trees in early farming and how trees were domesticated is not well documented. Unlike most trees, the peach matures very quickly, producing fruit within two to three years, so selection for desirable traits could become apparent relatively quickly. The problem that Crawford and his colleagues faced was how to recognize the selection process in the archeological record.